The 34th Prairie Preview will take place this Thursday evening in Iowa City. The event is hosted by the Bur Oak Land Trust, an Iowa City organization that accepts land donations from residents seeking to place natural areas into public conservation trusts. The Prairie Preview XXXIV will feature a presentation from University of Iowa professor emeritus Dr. Steve Hendrix. Hendrix’s presentation, titled “Wild Bees of Iowa: Hidden Diversity in the Service of Conservation” will discuss the economics and biology of pollinators, declines in honey bees and wild bee populations, the value of restoration for wild bees and the future of wild bees, among other topics. Hendrix will also provide basic information about wild bees that live in Iowa. His presentation will be based on his original research along with the work of others in the field. 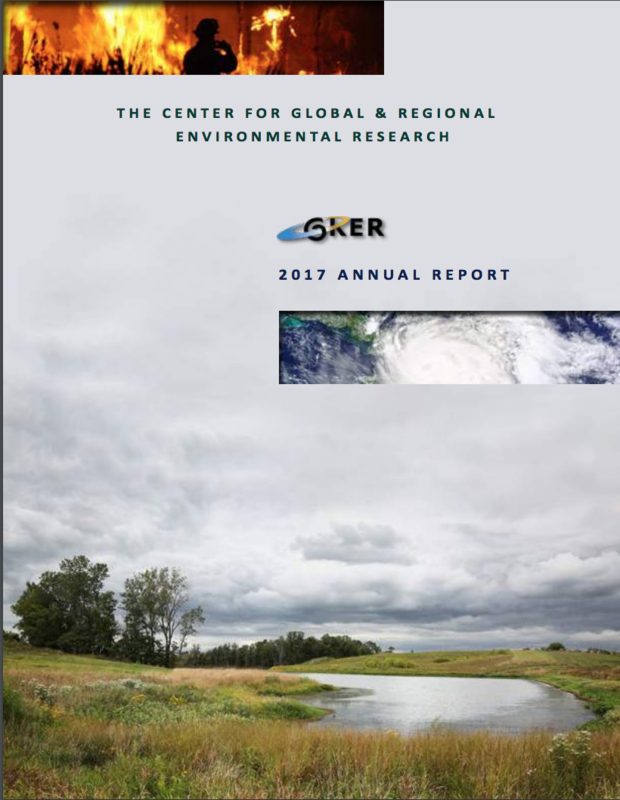 More than 40 environmental organizations and agencies will also be present at the Prairie Preview XXXIV sharing information and providing resources to attendees. The event is free, open to the public and will take place at the Clarion Highlander Hotel and Conference Center at 2525 N Dodge St, Iowa City, Iowa 52245 on March 9th, 2017. Doors will open at 6:30 p.m. and the event begins at 7:30 p.m. This Prairie Preview, which usually attracts crowds of over 200 people, is sponsored by the Iowa Living Roadway Trust, Iowa Native Plant Society, City of Coralville, Iowa Natural Heritage Foundation, Fiddlehead Gardens LLC, Forever Green, Friends of Hickory Hill Park, HBK Engineering, Legacy GreenBuilders, Project GREEN, Veenstra & Kimm, Inc., and Lon and Barbara Drake. Despite a divisive national political climate, voters in Linn County spoke with one voice in favor of conservation measures in their county on Tuesday. Introduced by the Linn County Conservation Board, the ballot measure proposed a $40 million bond to be used for land and water conservation efforts in the county. Unlike other ballot measures in the state, which are typically decided by razor-thin margins, the conservation bond proposal passed with over 74 percent voter approval. The Linn County Conservation Board plans to use 55 percent of the funds for water quality and land protection, 30 percent for parks, and 15 percent for trail improvements. The group has issued a list of 30 potential projects which include wetland development along the Cedar and Wapsipinicon Rivers and several smaller creeks, woodland restoration, native prairie restoration, and improvements to outdoor recreation facilities. Goemaat added that the board wants to begin working with Iowa Natural Heritage Foundation, Iowa Department of Natural Resources and other invested groups as soon as possible in order to work on funding the projects. It will take time to raise the $40 million, representatives say, but Mayor Corbett is hopeful that the success of the ballot measure will encourage legislators to allocate money to the Iowa DNR’s Natural Resources and Outdoor Recreation Trust Fund of 2010, which funds Iowa DNR programs. This week’s On the Radio segment looks at an upcoming prairie restoration taking place in northwest Iowa. Listen to the audio below, or continue reading for the transcript. 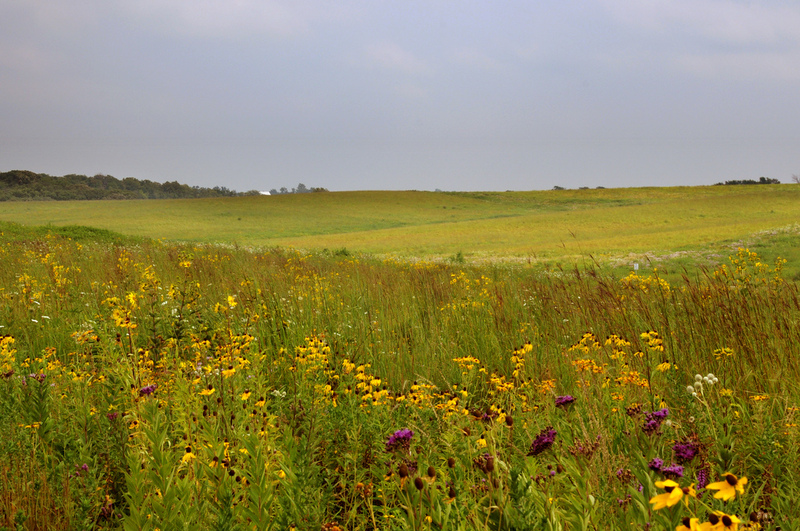 A native habitat that once covered northwestern Iowa is being partially restored. The bur oak savanna, a plant community of open-grown trees, tall prairie grasses and water fowl, once flourished in northwest Iowa. The introduction of new plant species, particularly high shade-producing trees, has choked out native plant growth and reduced the savanna’s size to one one-hundredth of a percent of its original size. To conserve this native habitat near Trumbull Lake in Clay County, the Iowa Department of Natural Resources will be removing non-compatible trees which outcompete younger oaks and shade out the prairie understory. The DNR will also be conducting controlled burns. Studies have shown that these measures are the most effective ways of restoring grassland habitats and species to the area. These native plant species are an important factor in maximizing water quality benefits for the area. For more information about native habitats, visit IowaEnvironmentalFocus.org. Photo courtesy of Brandon Hirsch, Flickr. 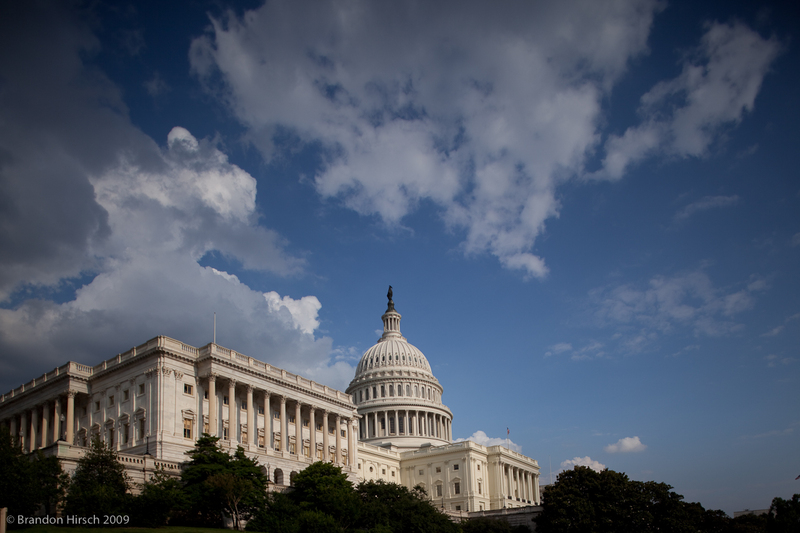 The new farm bill, passed by Senate last week will affects Iowans in several ways, from boosting access to locally grown fruits and vegetables at farmers markets to protecting wetlands and prairies, the Des Moines Register said. To read more about the bill and Iowa, click here. Environmentalist around Iowa are sending a letter to President Obama encouraging him to provide funding to a program that could help maintain Iowa’s two biggest sections of prairie. 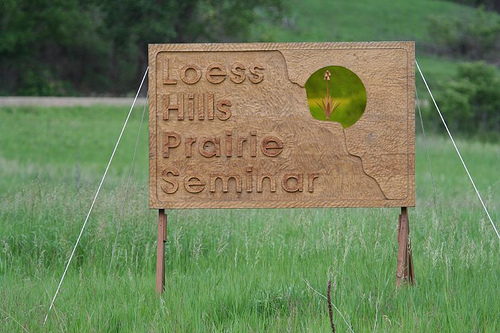 The two prairie sections are the Neal Smith restored prairie near Des Moines, and the Loess Hill preserved prairie. The program seeking funding is the Land and Water Conservation Fund. 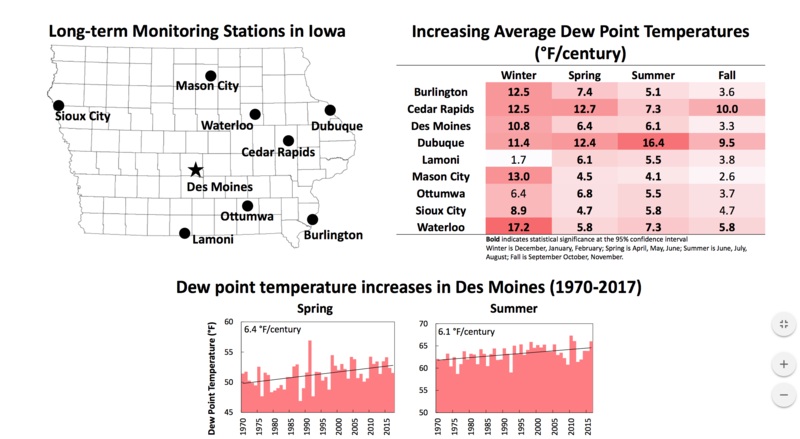 The Iowa environmentalists that drafted the letter hope the fund will receive $900 million. 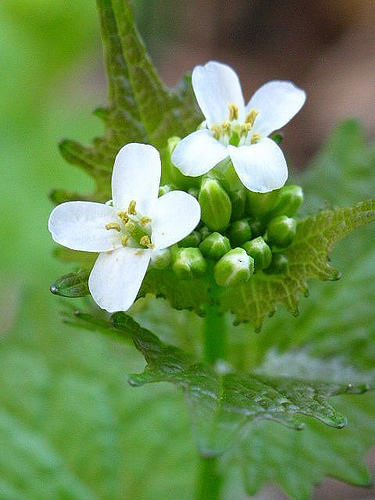 Garlic mustard is one of the invasive plants affecting the Johnson County trees. Photo by eLeSeA, Flickr. The University of Iowa will use 24 acres of dead and dying trees in Johnson County as biofuel. The trees are dying because of invasive species like garlic mustard, exotic honeysuckles and Canada thistles. Once the trees are removed and the invasive plants are cleared, the land will be converted into a prairie.